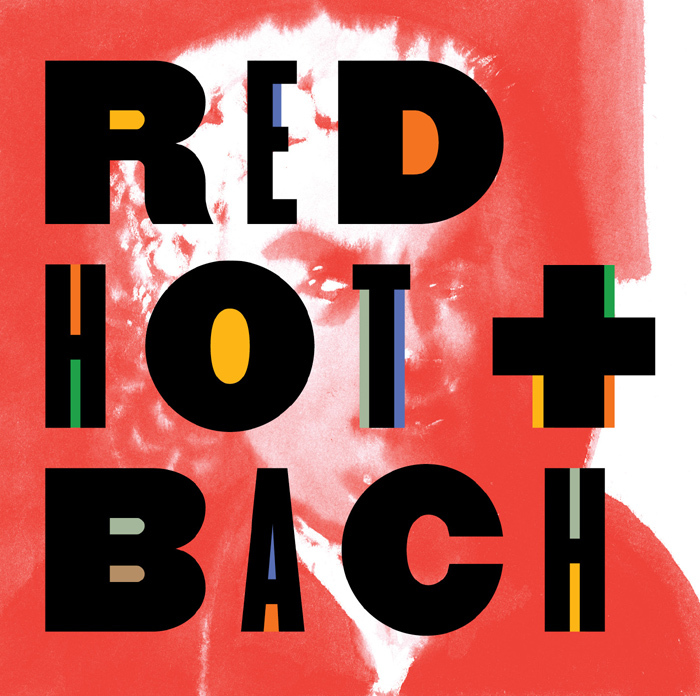 Red Hot + Bach, from Sony Music Masterworks, is charting a new pathway into the musical universe of Johann Sebastian Bach. Through the collaboration of performers, producers, DJs and artists from around the world and across the spectrum of contemporary music, different facets of Bach’s centuries-old masterpieces are transformed with fresh energy and modern virtuosity. The creators of Red Hot + Bach embrace Bach as a living artistic force, as real and as vital today as he was when he lived (1685-1750). They range across nineteen freely-imagined tracks from mandolin virtuoso Chris Thile (Nickel Creek, The Punch Brothers), singer/songwriters Gabriel Kahane and Shara Worden (My Brightest Diamond), jazz legend Ron Carter, DJ/producer King Britt and the Icelandic band amiina, to imaginative classical artists such as the Kronos Quartet, composer Max Richter, violinist Daniel Hope and organ virtuoso Cameron Carpenter. Red Hot, a not-for-profit production company, has been shaking up great music in just this way for twenty-five years with projects that celebrate the musical geniuses as diverse as Antônio Carlos Jobim (Red Hot + Rio), Cole Porter (Red Hot + Blue), a meeting of jazz and hip-hop artists (Red Hot + Cool), Duke Ellington (Red Hot + Indigo), and Fela Kuti (Red Hot + Riot). The work of Red Hot continues to serve a social purpose: raising awareness and money in the ongoing fight to stop AIDS. Red Hot + Bach is available both in a special expanded digital edition and as an iPad app designed to lead you to discover new ways to interact with the timeless energy and beauty of Bach’s music. When Daniel Hope was a boy, the only thing he loved as much as his violin was his telescope. Gazing into the night sky, he pondered the vastness of space. Now a grown man, Hope still has a penchant for wonder and discovery – especially when it comes to music. He’s known primarily as a Brahms and Beethoven kind of classical violinist, but Hope enjoys exploring neighboring musical galaxies through flights into jazz, Indian ragas and contemporary music. In his latest album, Spheres, Hope returns to the spirit of those early astronomical adventures. His idea, he says, is “to bring together music and time, including works by composers from different centuries who might perhaps not always be found in the same galaxy.” The unifying factor is the big question: Is there anything out there? What better place to play with that ancient query than the Rose Center for Earth and Space at New York’s American Museum of Natural History. 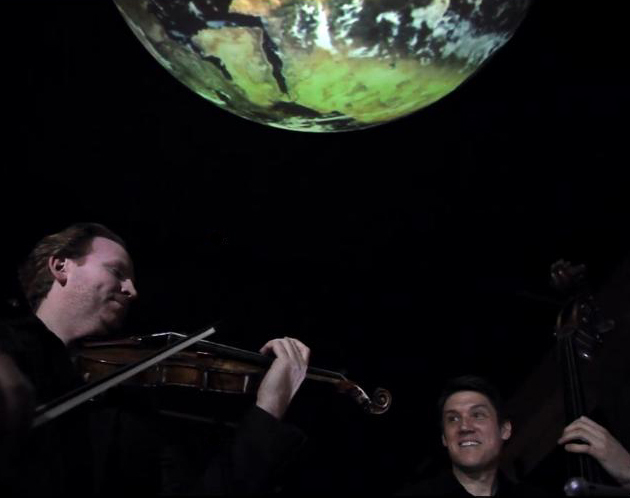 We invited Hope and jazz bassist-composer Ben Allison into the “performance crater” in the Hall of Planet Earth. As if the Hall isn’t interactive enough – with its glowing orbs and 4.3 billion-year-old zircon crystal – we wrangled afternoon museum-goers to participate in our own Earth and sky expedition. Equipped with small flashlights, they became the twinkling stars surrounding Hope and Allison in the darkened room. The music seems to live and breathe in the space, as each of the three pieces (spanning four centuries) reverberates a unique voice. Imitation of the Bells, with its rippling arpeggios and tolling bass line, comes from the long forgotten Johann Paul von Westhoff, a German violin master who crisscrossed Europe a generation before J. S. Bach. In Berlin by Overnight, from contemporary Max Richter, Hope’s violin asteroids whiz past while Allison’s bass propels through outer space. And finally, the otherworldly beauty that is Bach’s Air on a G String (BWV 1068) floats in a safe, gentle stasis. Landing back on Earth, we may come away from our journey with more questions than answers, just like little Daniel with his telescope. But one thing is certain – we heard some terrific music along the way.